Following the Government’s insistence last year that they favoured an inspection and licensing regime for wild animals in travelling circuses, ADI submitted a request to Defra (Department of Environment, Food & Rural Affairs), for access to their inspection reports for travelling circuses. The request was refused. ADI followed up with an appeal under Freedom of Information Act (FOIA) rules, which was also refused. ADI then appealed to the Office of the Information Commissioner on grounds that the information is of legitimate public interest, since the inspection reports will inform Government decision-making on their proposed inspection regime. In May, the ICO (Information Commissioner’s Office) ruled that ADI be given access to the report of the inspections of the Great British Circus in 2008, but not another inspection we requested, of Peter Jolly’s circus. Defra was given 35 days to hand over the GBC report . As the government presses ahead with a licensing regime, access to circus inspection reports are vital, to ensure that open, publicly debated and evidence-based decisions are made. The refusal by Defra to release the reports have already prevented concerned stakeholders and independent experts from reviewing the scope, criteria used and overall quality of the inspections. MPs also rallied behind our call for Defra to release the reports with Caroline Lucas sponsoring EDM 2586 Inspection Reports on Circus Establishments, supported by Adrian Sanders, Peter Bottomley and Mark Durkan and parliamentary questions being tabled by Fiona O’Donnell, Caroline Lucas and Gavin Shuker. ADI continues to press Defra to release inspection reports for all animal circuses, including Peter Jolly’s Circus, which the Commissioner ruled against making public. We are urging the Government to listen to the public, politicians and welfare organisations and introduce a ban on wild animals in circuses, as promised, immediately. ADI has shown that inspections fail to detect animal suffering in circuses and the lack of access to inspection reports confirms that a statutory licensing system that lacks transparency and accountability will undermine public confidence and perpetuate the suffering of wild animals. 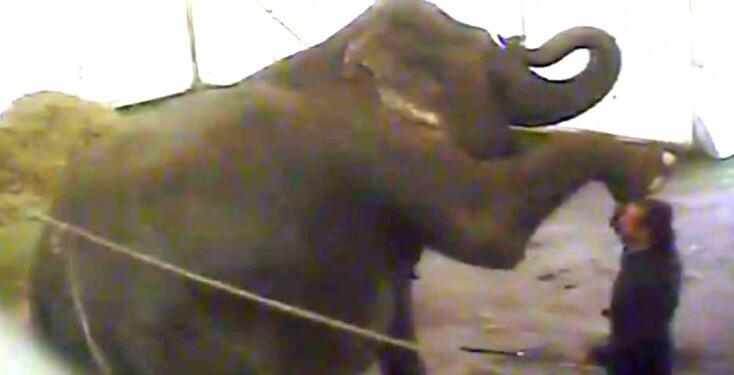 Inspections of animals in travelling circuses are not fit for purpose. They are shallow, provide a mere snapshot of the animals’ living conditions and it is easy for circuses to tell the inspectors what they want to hear and show them only what they want them to see. In our ’Out of Control’ report, we provide case studies showing where inspections of travelling circuses have failed to identify sick and injured animals, abuse and excessive chaining. When the inspectors were conducting their inspections, we were there filming. In 2009, the Great British Circus toured with an elephant act. ADI decided that a new study of the use of non-domestic species in a travelling circus in the UK would be helpful. ADI investigators tracked the circus on tour during May and July 2009, through seven locations: Newark, Notts., Glen Parva, Leics., Tonbridge, Kent, Worthing, Sussex, Spilsby, Lincs. (off tour), Godstone, Surrey and Watford, Herts. We filmed almost 80 hours of footage, and took 250 photographs. The footage we captured revealed a huge level of violence including elephants hit in the face with metal elephant hooks (a heavy bar with a hook on the end), with a broom, brush, pitchfork, a small concealed hook used to inflict pain in the ring when the animals were in public and a worker cruelly twisting an elephant’s tail as if trying to break it in half. The elephants are seen and heard on screen frightened, retreating, crying out when struck. In our view, since they were inside a tent, these sounds would likely have been audible to circus workers passing by. Excessive chaining was an issue. They were kept chained to the ground by one front and one back leg, barely able to take a step forward or back, for up to 11 hours a day, displaying disturbed, abnormal (stereotypic) behaviours. Social contact was restricted. Both water and food were restricted. Water was placed out of reach at night – once given in the afternoon, the water barrels were moved to the other side of the tent, behind the electric tape. BIAZA (British & Irish Association of Zoos and Aquariums) guidelines stipulate a maximum of 5 hours a day for chaining elephants. During 11 hours of observation, Sonja, a wild-caught African elephant, spent nearly 40% of the time displaying stereotypic behaviours. The two Asian elephants showed similar abnormalities. These rocking, weaving, swaying and bobbing movements are not seen in wild elephants and animal behaviourists believe that this demonstrates that the animal is suffering and is not coping with its environment. When the circus moved to a new location, the elephants were loaded into their transporter after the last show, but remained inside until their tent was erected, resulting in many hours being shut away. For example during the move from Watford to Bushey on 19 July 2009, the elephants were kept inside the transporters for seven and a half hours – although the distance travelled was just five and a half miles. Such levels of confinement and boredom display extremely poor animal care standards and inevitably lead to psychological problems. It was also noted that the animals were in poor health; one had been diagnosed with an extremely painful condition called degenerative joint disease and an abscess; another appeared to suffer from some sort of trunk paralysis and they appeared to suffer a range of other conditions including other lumps, stiffness and arthritic conditions. When ADI released the footage, GBC claimed that they had been inspected on six occasions during the touring season, by local authority inspectors, Defra inspectors, by the RSPCA accompanied by the police (we filmed the latter inspection). None of these inspections uncovered the excessive chaining or beating of the elephants. The chains were removed prior to inspections, and the hasps screwed into the floorboards that held the chains were covered with straw. While the GBC report is specific to the touring season in the UK in 2009, ADI’s studies of animals in circuses worldwide have found common practices in the circus culture, and the husbandry and treatment of animals. Abnormal behaviours have been found in all species. Spot inspections do not work and animal suffering in the deprived conditions in a travelling circus with seasonal workers, who do not understand the needs of the animals and where space is necessarily limited to mobile accommodation, is inevitable. We launched our findings and sent the video evidence to experts for their comments, while our lawyers prepared a prosecution, which, once the Government announced an intention to ban, we decided the evidence would serve the interest of the animals best, by producing a report to the minister.